Craniosacral Therapy, or CST as it is generally called, has its roots back in the nineteenth century. Originating in Andrew Taylor Still’s system of osteopathic medicine, it owes much to subsequent pioneers of technique, such as William G. Sutherland who extended Stills system into cranial osteopathy. This was refined and codified by Harold Magoun in the 1950’s and taught by him to Dr. John E. Upledger in the late 60’s. John E Upledger took on and developed these techniques into what he called ‘CranioSacral Therapy’, a powerful yet simplified system of treatment capable of being learned by anyone of good intent wishing to study the system. The unique feature is that it does not require extensive medical training to be effective. Nonetheless, it embodies and develops the essential concepts of Still and Sutherland. It has evolved in Upledger’s lifetime to become an holistic therapy aimed at assisting the client to employ their own body’s healing capacities and which trusts that all bodies have an inherent intelligence keeping us in equilibrium. "...the cerebrospinal fluid is one of the highest known elements that are contained in the body, and unless the brain furnishes this fluid in abundance, a disabled condition of the body will remain." "He who is able to reason will see that this great river of life (the cerebrospinal fluid - ed) must be tapped and the withering field irrigated at once, or the harvest of health be forever lost." A physician called Andrew Taylor Still came up with a revolutionary way of treating illness and disease. Born in Jonesboro, Lee County in Virginia on 6th August 1828 and the third of nine children, his father was a Methodist preacher and physician who instilled in Andrew the beliefs that all men were created equal and that alcohol abuse could lead to destructive ends. He decided early on to follow in his fathers footsteps as a physician. After studying medicine and serving an apprenticeship under his father, he became a licensed MD in the state of Missouri. He served as a doctor in the Union Army during the American civil war, 1861-1865, where he experienced first hand the horrors and suffering of war. Following the death of three of his children in 1864, from spinal meningitis, and shortly afterwards the death of his wife in child-birth, Still concluded that the orthodox medicinal practices of his day were frequently ineffective and sometimes harmful. The practise of bleeding the body, prescribing medicines that included arsenic, mercury and addictive narcotics, and frequent amputations were standard treatments of that time. He devoted the rest of his life to studying the human body to find more effective ways to treat disease. His clinical research and observations led him to believe that the musculoskeletal system played a vital role in keeping the body healthy. He believed that the body contained everything required to maintain good health, if properly treated. He devised a system of manipulation of the spinal bones, that he would later call osteopathy, to correct misalignments or dislocations which he named "subluxations". He saw these subluxations as barriers, or blocks, to the innate healing ability of the body, and by removing them, the body would heal most things all by itself. The action of correcting the subluxations freed up nerve impulses that had become trapped either by injury or illness. It also had the benefit of improving blood and lymph flow. (1) The body functions as a total biologic unit. (2) The body possesses self-healing and self-regulatory mechanisms. (3) Structure and function are interrelated. (4) Abnormal pressure in one part of the body will produce abnormal pressures and strains in other body parts. He considered drugs to be harmful and used only manual therapy to achieve his remarkable success. He was the first to advocate treating the patient as a whole person and not a disease entity. He believed that a person cannot be ill in one area of the body without that illness affecting other areas. He was an advocate of the movement of fluid being paramount. However, as with many new ideas and approaches, his former medical peers thought the prevailing system worked well and would not understand why he had rejected it. They poured scorn on his methods, which used only manual techniques. The religious community were also becoming quite outspoken in their condemnation of his healing with his hands, thinking it sacrilegious, and in at least one incident, a local church claimed he obtained his remarkable results through the works of the Devil. He had to move location on several occasions because he was vilified by the medical and religious fraternities. Even his own brothers, also physicians, proclaimed him to be insane. When he moved to Kirksville, Missouri, he was able to restore to full health the daughter of the local Minister, and thereafter gained wide acceptance as a physician and teacher. As his fame spread, his patients came from further afield, boosting the business of the inn- keepers and boarding houses. Kirksville embraced the Still family, a new experience for them. Through observation and practice his methods became increasingly successful and he built up a following of patients and doctors who wished to learn his methodology. His success meant that he could not cope with the large numbers of people queuing for treatment. 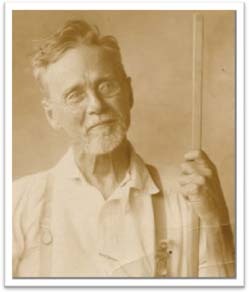 In 1892 he founded The American School of Osteopathy in Kirksville Missouri, later known as the Kirksville College of Osteopathic Medicine, and today as A T Still University. The first graduating class included five women, unheard of at that time, and sixteen men, three of whom were Still’s own children. He fought all his life as an osteopath to keep drugs out of osteopathy, but shortly after he died in 1917, drugs were introduced and within a few years osteopaths were required to take the same exams as medical doctors. Osteopathy as practised in America has changed radically from what Dr Still taught, but in Europe it is closer to Still’s original teaching. "Within that cerebrospinal fluid there is an invisible element that I refer to as the 'Breath of Life.' I want you to visualize this Breath of Life as a fluid within the fluid, something that does not mix, something that has potency as the thing that makes it move. Is it really necessary to know what makes the fluid move? Visualize a potency, an intelligent potency, that is more intelligent than your own human mentality." Dr Sutherland graduated from The American College of Osteopathy in 1900 with honours. He was then twenty-seven years old. Osteopathy was not his first calling. He was born on 27th March 1873, the second of four children of Robert and Dorinda Sutherland. Robert worked as a blacksmith and lumberjack. By the age of fourteen William had already left school to help with the family finances. He went to work in the local newspaper, “The Blunt Advertiser.” When, shortly afterwards, the publisher left to join another newspaper he wanted William to go with him. Several other moves followed until in1895 he went to Austin in Minnesota, to The Austin Daily Herald. It was here that he first heard about Dr Still and his new’ cure’, Osteopathy. William's younger brother, Guy, suffered a health problem from which he recovered after receiving osteopathic treatment. William was hooked. In 1898 he enrolled in the, then, two year course in Osteopathy. While a student he was examining the bones of a disarticulated skull and noted the bevelled edges to the sphenoid bones, when the thought “bevelled like the gills of a fish, to allow for respiration” first struck him. Although he dismissed the thought, it would continue to recur until he felt compelled to investigate it further. After graduating, Dr Sutherland, as he now was, opened his office in a room of his parent’s house. He quickly built up a successful practise and soon was able to rent his own office. In 1907 Sutherland became president of the Minnesota State Osteopathic Association. He started to lecture on health issues, some of which were published. In the meantime, he continued to study the cranium. However, it was not until 1924 that Sutherland started to set about gaining some proof for his theory. He had married for the second time and on his honeymoon had attended the annual conference of The American Osteopathic Association. Perhaps it was this that inspired him to start buying equipment he would need for his experiments. At that time, William, like all other physicians (except those in Italy and later Israel), was taught that the joints in bones of the skull became fused together in adolescence and, therefore, incapable of movement from that time forward. William's examination of the twenty-two bones that make up the human skull convinced him that they were designed to accommodate movement. As he believed that nature never did anything without a reason, he determined to test his theory and reconcile it with what he had been taught. He required first-hand experience, so who better to experiment on than himself? He devised a helmet, which was capable of restricting individual cranial bones. He reasoned that if they were already restricted by fusion, he should feel no difference, so he started a series of experiments on himself. He carried with him a notebook to record any possible symptoms. He also engaged the services of his wife to note any changes in temperament that might escape his attention. In his first experiment he nearly lost consciousness and released the pressure. Immediately he felt warmth and fluid movement along his spine and also movement in the sacrum, the big triangular bone at the base of the spine. He repeated the experiment several times with the same result. This supported the conclusion that, not only did the cranial bones move, but the sacrum did also by way of the membranes connecting the two. He continued with his experiments and developed methods in his clinical practise based on them. Eventually he was able to achieve considerable clinical success with his patients. Volume, designed to attract the interest of the practitioners of orthodox medicine rather than a textbook explaining his methods. "You know from your experience as the patient that the Tide fluctuates; it ebbs and flows, comes in and goes out, like the tide of the ocean. You will have observed its potency and also its Intelligence, spelled with a capital 'I'. It is something that you can depend upon to do the work for you. In other words, don't try to drive the mechanism through any external force. Rely upon the Tide." Here Sutherland gave us a basis for Craniosacral Therapy – little or no force. In the 1940’s, The American School of Osteopathy started a course called Osteopathy in the Cranial field, directed by Dr Sutherland. The clinical success he was having by treating the cranial bones was at last attracting the attention of some member of the orthodox medical profession, who wanted to learn his methods. As the popularity of the course grew, Dr Sutherland had to train more teachers to cope with the demand. Among the first of these were: Viola Fryman, Rollin Becker, Anne Wales, Howard Lippincot and many more who went on to promote and teach Sutherland’s work. 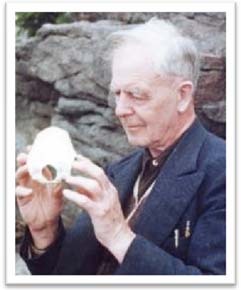 Dr Magoun was one of the first students taught by Sutherland, and did much to promote and teach cranial osteopathy. He has a special place of honour as he wrote “Osteopathy in the Cranial Field”, considered to be the “Bible” of Sutherland’s methods. Published first in 1951, and endorsed by Sutherland who was still alive, it set out in a clear way Sutherlands thoughts, with the objective of attracting more orthodox osteopaths to this field. It is still a textbook of The American Cranial Academy and The Sutherland Teaching Foundation. Dr Upledger’s contribution is distinguished by his ability to research intricate details and yet simultaneously simplify techniques to a level which could be learned by members of the public. His emphasis is on the function of connective tissues called fascia in all its forms and using light touch to assist and follow the body into its self regulating mechanisms. Dr Upledger ‘discovered‘ the craniosacral system when he was assisting at an operation to remove a calcified plaque from the membrane that surrounds the spinal cord of one of his patients. At the time he was a doctor of osteopathy. His task was to hold the spinal cord still with two pairs of forceps while the surgeon scraped away the plaque. However, to his increasing embarrassment and in spite of his best efforts the spinal cord kept moving. The slightest slip by the surgeon could end up with the patient being paralysed from the neck down. The membrane kept moving in a regular cyclical motion throughout the procedure. Nobody could explain the motion and so became very curious. He could find no reference to it in any of the standard text books. He was fascinated by the phenomenon, and in his own words, “did not have long to wait” before he discovered a line of enquiry. In 1968 John attended a course at The Cranial Academy, which was being taught by Dr Harold Magoun. He learned to feel the ‘motion’ of the cranial bones and the sacrum through the connection of the dural membranes. He realized that this was the movement he had first encountered when he was trying to hold the spinal cord steady for the surgeon. Attending the Cranial Academy changed the course of his life. At that time he had contact with Anne Wales and Harold Magoun, who were taught by Sutherland. They, along with others, taught John to fine tune his palpation skills and to trust what his hands were telling him. From 1975 – 1983 John was a research fellow at the Faculty of Osteopathic Medicine at Michigan State University. In addition to being a doctor of osteopathy he was also a professor of biomechanics. He was asked by MSU to head a team to “prove or disprove that the cranial bones were capable of movement in adults”. There was still controversy about cranial bone movement in the medical community. His research team consisted of Anatomists, Physiologists, Biophysicists and Bioengineers. The result of their work largely confirmed what Sutherland had discovered by experimenting on himself, and through his clinical experience: the cranial bones, the membranes attaching to them, the membranes surrounding the spinal cord, and the sacrum, together with the cerebro-spinal fluid (CSF) make up a moving body system now known as the craniosacral system. By correcting restrictions in this system, many poorly understood conditions of the brain and spinal cord could be successfully treated. This team were the first to formally put forward a model to describe a possible mechanism of the craniosacral system. This was a semi-closed pressure static hydraulic system which mediated the production and circulation of CSF. While at MSU, and in private practice John continued to develop new ways to use the craniosacral system to solve and improve health problems that did not respond to conventional methodologies. His techniques became soft tissue-oriented, fluid-oriented, membrane-oriented, cellular orientated and energy-oriented, which resonated with quantum physics. One of his most important research projects was with children who were diagnosed with autistic spectrum disorder (ASD). He found that in examining their cranial membranes that they were, without exception, much tighter than in children without autism. He developed techniques to relax the membranes which would bring about a change in the typical self-destructive behaviour and improve emotional responses from the client group. His study found that the techniques were beneficial and that the more severe behaviours - including head banging, thumb sucking, toe walking and self-mutilation - were either alleviated or diminished in his group of patients. Upledger wanted families of children with more severe forms of ASD to be able to treat their children on a daily basis by themselves and with confidence in doing good things for the child. He instigated a program whereby he taught carers simple but powerful techniques which helped release tension in the dural membranes. In this way he founded craniosacral therapy, making it available to all those who wished to apply it with an open heart and good intention. This gave rise to the development of the “10 step protocol” course for parents to help their children and provided the bridge to classes for non-medical trainees. Realising the value of these techniques, he opened up the training to people from non-medical backgrounds and went on to make it available as an adjunct therapy to other healing modalities. Upledger also came to understand that emotional issues could be ‘stored away’ or recorded in the soft tissue of the body, bringing about physical complaints and symptoms. Such stored emotions were negative, or destructive, and could originate from any combination of physical, psychological, or emotional trauma from any source whatsoever. He developed a system for locating and releasing these impediments to healing. He called this Somato-Emotional Release. Although a tenured professor at Michigan State University, Upledger left to set up a teaching foundation, The Upledger Institute, specifically to train non-medical health professionals in “CranioSacral Therapy”, a term he coined to differentiate it from what was previously taught to only osteopaths. His techniques are based on the Hippocratic premise “First do no harm”. He has written and lectured extensively on craniosacral therapy, making it accessible to the general public. He has a gift for making complicated subjects easy to understand. Now well into his seventies and retired from active teaching in 2008, he still maintains an interest in research to improve and extend the scope of his life’s work. To date some 100,000 individuals world-wide have received training from The Upledger Institute. He has written many books on CST, including both textbooks and lighter, introductory books for the general reader. Since Upledger first coined the term, craniosacral therapy (CST) has broadened and diversified over recent decades into a number of distinct styles that all share a common heritage, but differ in how the work is applied in clinical practice. Now CST is truly on its way to becoming a new health technology and has effectively demonstrated its usefulness to the human race as a tool for good health. 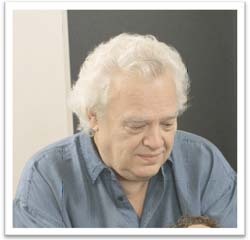 There are now several different approaches to the philosophy of CST, for example, Upledger CST, Franklyn Sills Biodynamic CST, which has further developed into Process CST, Hugh Milne’s Visionary Craniosacral work, and many others have developed schools of philosophy and published books on the subject. There are many independent schools, which align with one approach or another or claim synthesis across the spectrum of teachings. However, they are all based on a common approach: listening to the client’s body and using very subtle techniques to effect profound change. Craniosacral Therapy is standing on a very important threshold – literally in its infancy – of developing the body’s self-healing properties, and the many schools with differing approaches reflect this current stage of CST in its development. Cranial osteopathy has similarly been moving away from purely mechanistic approaches to the body and have contributed their own perspective on CST. Their world has had many modern thinkers, who have adapted their technique to reflect Sutherland’s later work and contributed greatly to the softer craniosacral therapeutic approach. The list below reflects contributions arising out of the work of Still and Sutherland. We believe a time is coming when the general public will seek to be treated by the latest technology – a pair of sensitive hands. Viola M. Frymann, “Collected Writings” and “Beryl E. Arbuckle, “Collected Writings”. Both are highly recommended for practitioners because of their extensive work with children. Anne L. Wales, Chester Handy, Howard and Rebecca Lippincott, all added to the wealth of information about the field and were very dynamic in their teachings and conviction concerning the effectiveness of cranial work. Many other influential osteopaths trained in W G Sutherland's work include Louis Hasbrouck, Alan Becker, Herbert C. Miller, and Edna Lay.